A tragic head-on crash occurred in Bedford, Massachusetts on Saturday morning. The crash took place on the Middlesex Turnpike, near the intersection with Oak Park Drive, just a little before 9:00 am. At that time, multiple emergency units, including the Bedford Police and Bedford Fire Department were dispatched to the scene of the collision. Upon arrival, authorities discovered the crash involved a woman and an 85 year old man from Billerica. Through a subsequent investigation, police were able to determine that the man was traveling south on Turnpike and the woman was traveling north in the opposite lane. The man’s vehicle crossed over the center line suddenly and struck the woman’s vehicle head-on. Emergency workers on scene administered treatment to both victims before transporting them to a nearby hospital. Unfortunately, the man succumbed to his injuries. The woman has injuries which are not believed to be life threatening. The man’s identity has not been released pending notification of his family. The crash investigation remains ongoing and at this time it is unclear what caused him drift into the oncoming travel lane. Fatal car accidents are extremely tragic for those involved. The family of the deceased must cope with the fact that they will never see their loved one again. The other individuals involved in the crash has to carry on after experiencing one of the most traumatic events that can be experienced. These types of crashes are some of the most difficult ones that we see here in our daily practice. If your loved one has been involved in a fatal accident, you may have certain legal rights. 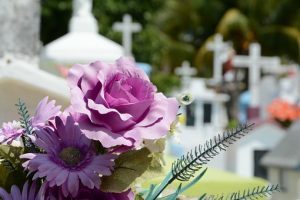 A wrongful death claim can be brought on behalf of the deceased individual to recover damages from a person responsible for the death. Wrongful death claims have extremely complicated and particular legal requirements that must be met when they are filed. For that reason, it is never advisable to try and pursue this type of case without first having competent representation. At the Law Offices of Jeffrey S. Glassman, we have the experience needed to handle wrongful death claims. Our team of attorneys and staff can help you through this difficult time. For a free consultation, please call our Boston office today at 617-367-2900.